Fall is here—finally! After months of high-degree temperatures and stifling humidity, we’re actually looking forward to a chill breeze, and we don’t even mind that everything is suddenly pumpkin-flavored. Great sweaters are the foundation of every fall wardrobe. Philosophy di Lorenzo Serafini captures the joyful vibe of the '60s for the Pre-Fall '17 collection. 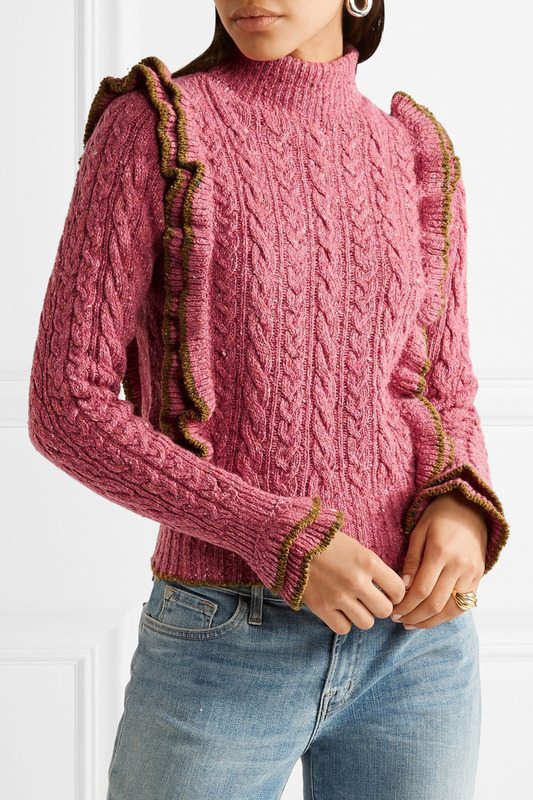 Part of the feminine lineup, this cable-knit sweater is spun from a wool-blend that's flecked with colorful yarns for a mélange effect. Army-green ruffles cascade along the bodice, cuffs and hem. We love how Lemaire has transformed the classic black turtleneck sweater into something fresh using subtle detailing. 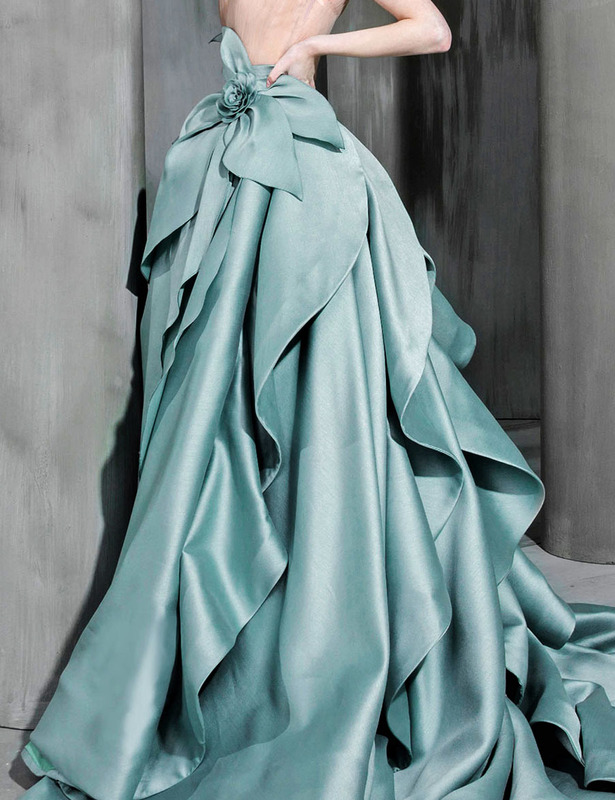 This wool style is ribbed to highlight the smallest part of your waist before gently flaring into a peplum hem. 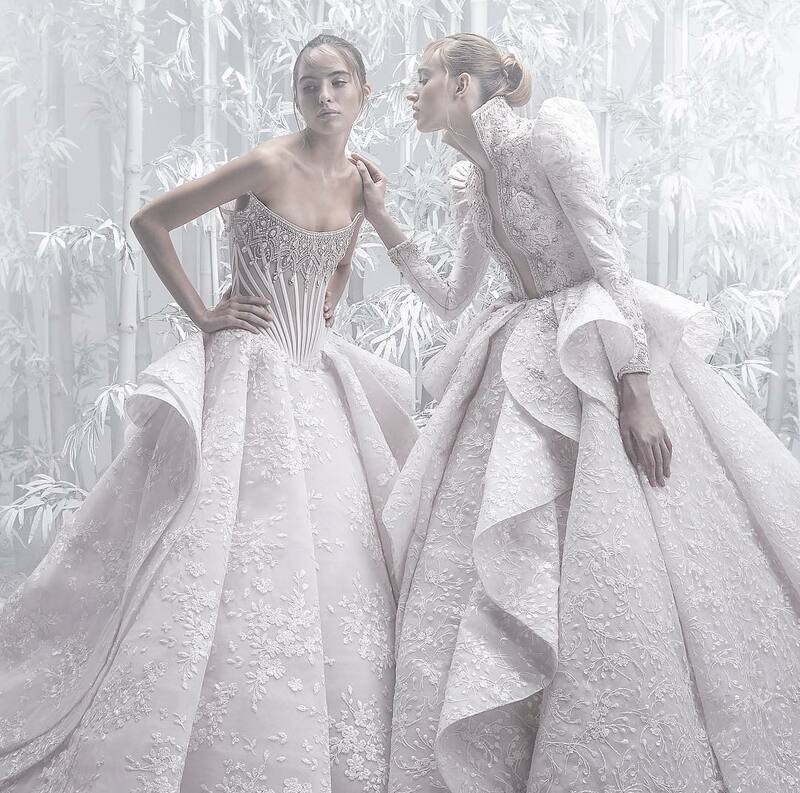 The sleeves are slightly puffed for volume at the shoulders. 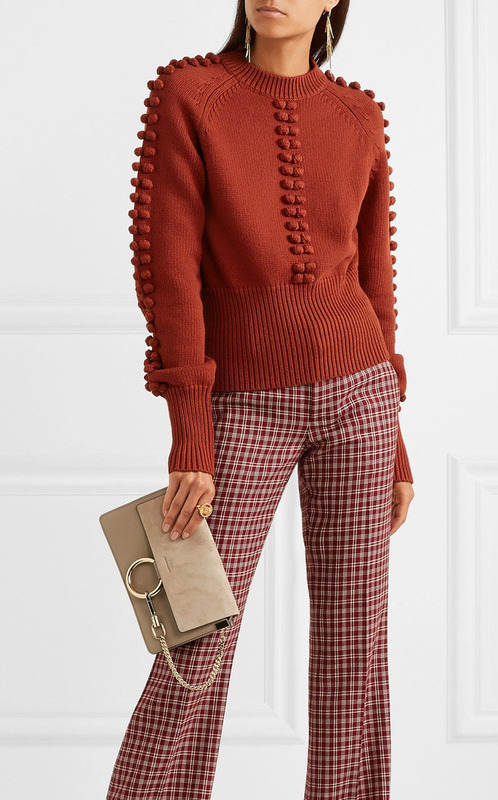 Chloé's '70s-inspired Pre-Fall '17 collection is made up of earthy palettes like the rich brick hue of this sweater. 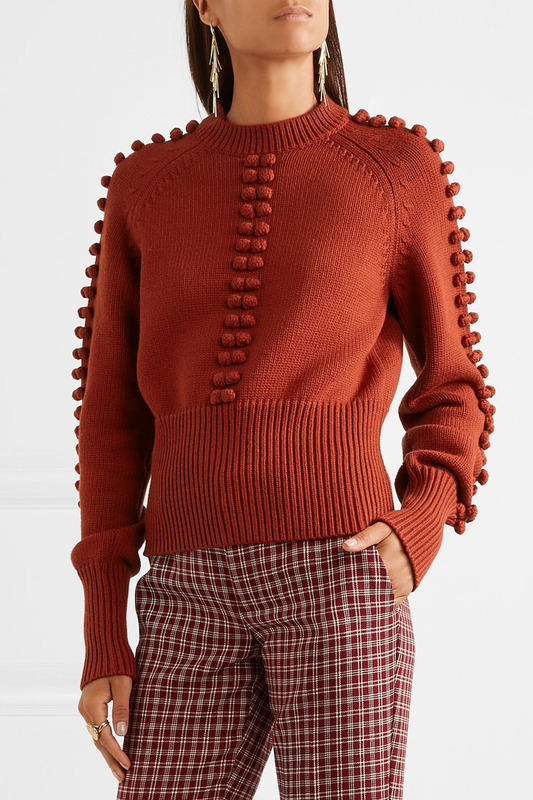 Defined by its tactile pompom trims, it has sculptural balloon sleeves and pulls in with exaggerated ribbing at the waist and longline cuffs. Mirror the label's styling and wear yours with checked pants. 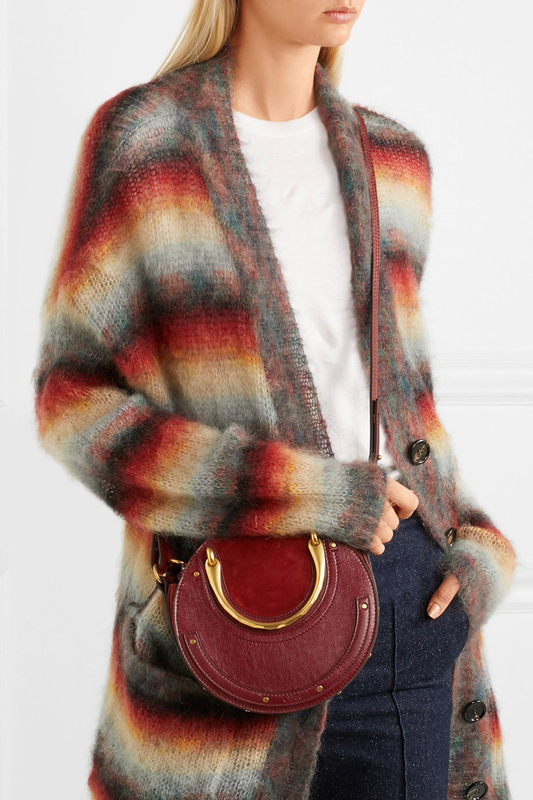 Stella McCartney's sweater is knitted from a patchwork of ribbed panels to create a cool, deconstructed effect. 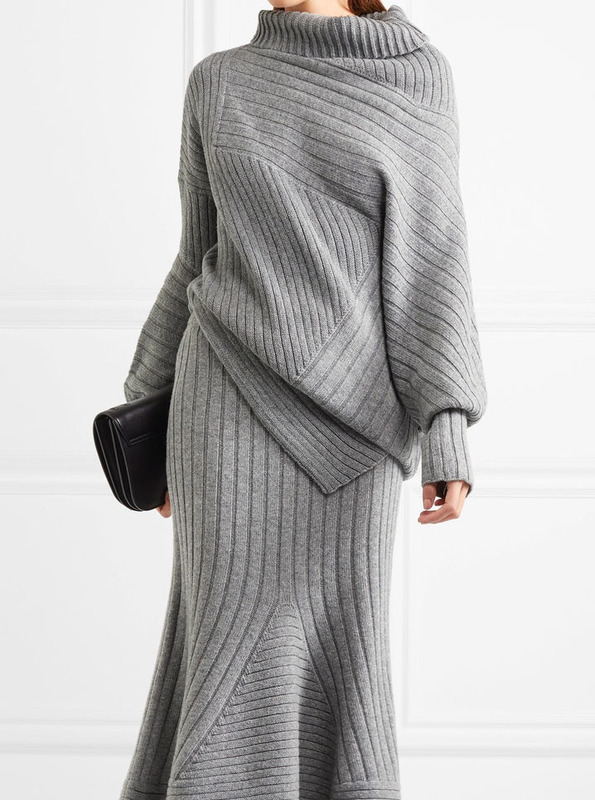 Spun from soft wool, this slouchy piece has an asymmetric hem, exaggerated sleeves and a cozy collar. Style yours with slip dresses, tailored pants or the coordinating skirt. 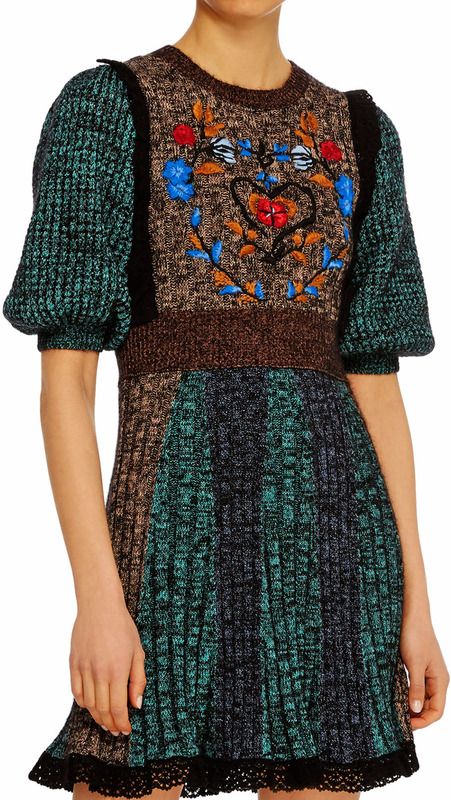 This Red Valentino sweater dress features a round neckline, short puff sleeves, and a floral embroidered design at the chest area.